Designing is all about how simply it conveys the message to the users. It’s not only about how it looks and feel but also how it works. Whether you have the small business or big firm, your effective website is one of the main factors to attract users. Website with poor designing affects its performance in search engine also like high bounce rates, low time on site, low pages per visit and low conversion. Hence, today I am going to tell you about some key points to build an effective website. Goal – Every page of your website must demonstrate a clear information with easy to read and understand. Though visitors wants some sort of information, entertainment, interaction etc. Interaction – In today’s era, everything is very fast and quick. Even, if users come on the website they want clear communication. For this, the trick is that you should use headlines and sub-headlines instead of long sentences. Typefaces – Normally, Sans Serif fonts are easier to read online and size should be 16px and you should stick to 3 typefaces in a maximum of 3 point sizes to keep your design streamlined. Colours – Colour palette plays an important role in effective web designing to improve the user experience. Complementary colours make balance and harmony and contrasting colours for text and background make easier to read the text. Images – Pictures shows things which sometimes written words also can’t explain. If you choose correct images for your website, it will help in brand positioning. Navigation – Navigation is about how easily can the user take action and move around your website. For this, the trick is to follow logical page hierarchy using bread crumbs, designing clickable buttons and three click rule. F Pattern Design – According to the research, people scan computer screen in an F pattern. Commonly, people view what’s present in the top and left of the screen and right side is seen rarely. Mobile friendly – Now a days, mobile is the common place to access websites. So, the website must be mobile friendly. 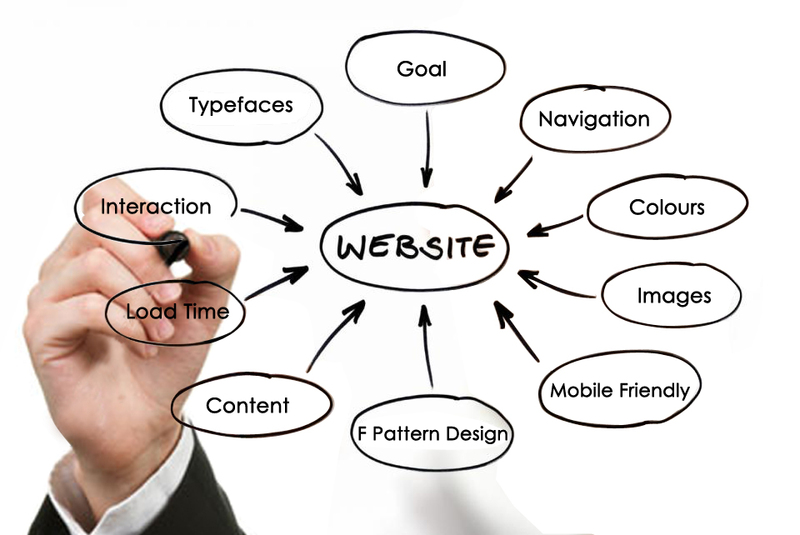 These are few simple things to keep in mind while designing a website in order to make it easy to use.